Hasn't this rain been lovely? It's been perfect snuggle weather for Colton and I! 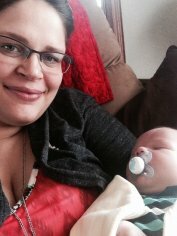 We have several NEW arrivals this last week! The first is a line featuring Noah's Ark called Two By Two! 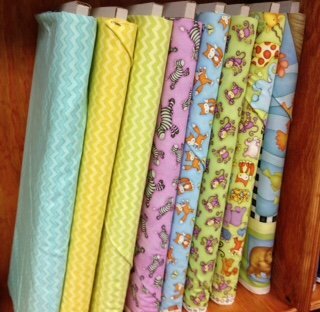 We love the big animal panel and all the coordinating prints. These are perfect if you are looking for a gender neutral gift! 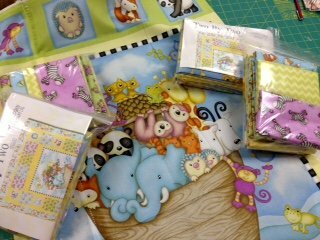 Kits featuring the adorable panel are available! 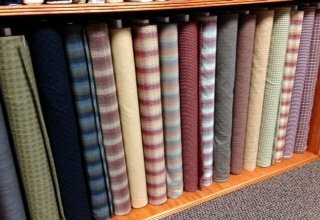 A NEW line of homespun wovens from Diamond Textiles have arrived! These colors are warm and perfect to create any of your next projects - even for those who love wool appliqué projects! New books and magazines arrived this week too - including The Spring Simply Vintage magazine! 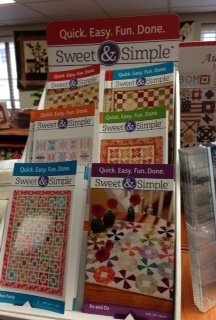 A NEW line of patterns called Sweet & Simple are here! We love the simplicity of them and can't wait to make one up! 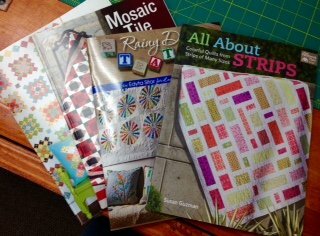 If you have interest in joining us for the second Tote Class I, please call the shop at 344-9389 or email us at juststitchin2014@gmail.com. We have room for a couple more! For the ladies who are already signed up, watch your email for the supply list soon. I'm still working on piecing blocks for my graduation quilt gift! Guess I best call grandma to come rock Mr. Colton so I can get back to my sewing machine. Check us out on Facebook! Have a blessed day!